Up until about 3 years ago I wasn’t a regular blogger. I’ve come to realise that I was afraid to share anything that might sound too much like a personal opinion, especially if that meant people disagreeing with me. It’s important to work hard to find the right conversations. When I worked at the digital agency Tincan we were a small setup. This meant that most of us were account managers as well as designers, researchers, and front-end developers. Designing something is about making a choice. Right or wrong. There’s a common situation where teams become afraid to make decisions and they become paralysed by over-testing. [I’ve] seen design teams paralysed by over-testing. Communicating design to your colleagues is an important skill. I was reminded of this last week when visiting one of our offices and seeing Helena’s latest posters in all sorts of good places. Yesterday, I shared some quotes from Inventing the future: Postcapitalism and a World Without Work by Alex Williams and Nick Snick. Here are some more thoughts about imaging the future. [Utopias] demand that the future be realised, they form an impossible but necessary object of desire, and they give us a language of hope and aspiration for a better world. Tonight I’m taking the shortest route home. It’s my choice. 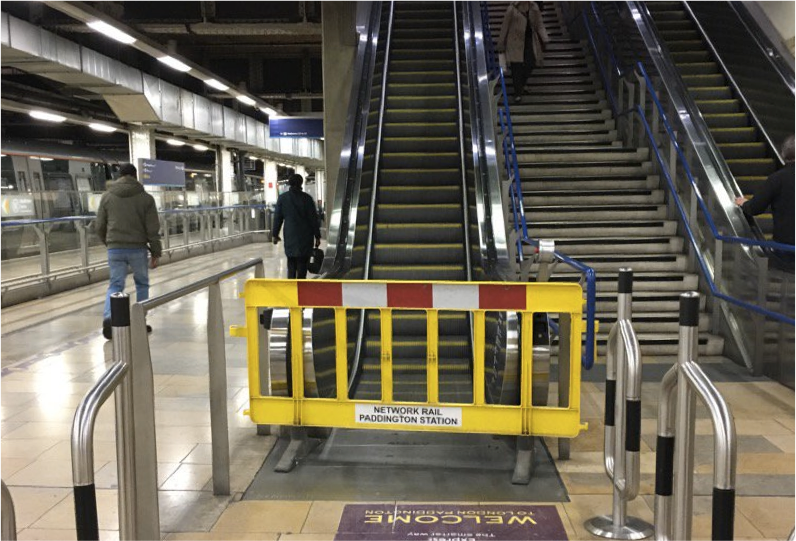 After my last blog post, Sharon shared a picture in response to the example that an escalator never breaks. Clearly this escalator is broken and it hasn’t become stairs. It made me think about interventions. Sometimes you have to break things or pull them apart to make them work better. A very simple blog post today. Critique doesn’t mean you need to criticise something. It’s a shame the words are so similar.